Now your favorite doll can be your look-alike in this pastel design that matches our life-size Watercolor Waves mermaid tail! This two-piece set includes tail and light blue top in swimsuit fabric. Doll not included. Dress your doll in the soothing pastel shades of Fin Fun’s Watercolor Waves mermaid doll tail set and start imagining life under the sea. 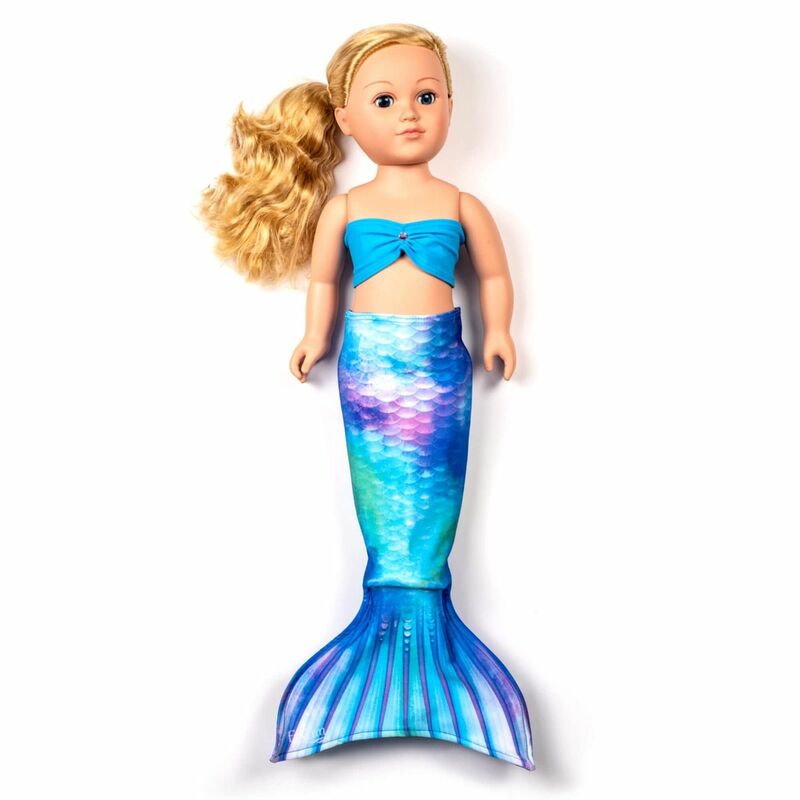 Featuring the same Limited Edition fabric as the full-sized swimmable tail for kids and adults, it’s easy for kids to match their favorite 18-inch doll! Twinners or not, this two-piece mermaid doll tail set also makes a unique gift for mermaid lovers!